And at 20 minutes from the most important Ski Center of South America: The Cerro Catedral. 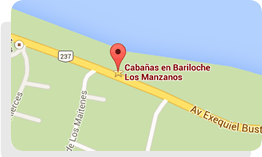 You and your family will find in Los Manzanos Bungalows the ideal place to relax and enjoy natural life. Send this form to check for availability or booking. 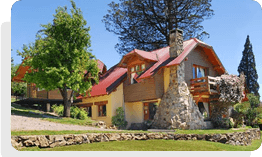 The cottages are located at Avenida Bustillo km 3, San Carlos de Bariloche. Watch the inside of our cabins. Copyright © 2019 Cabañas Los Manzanos.